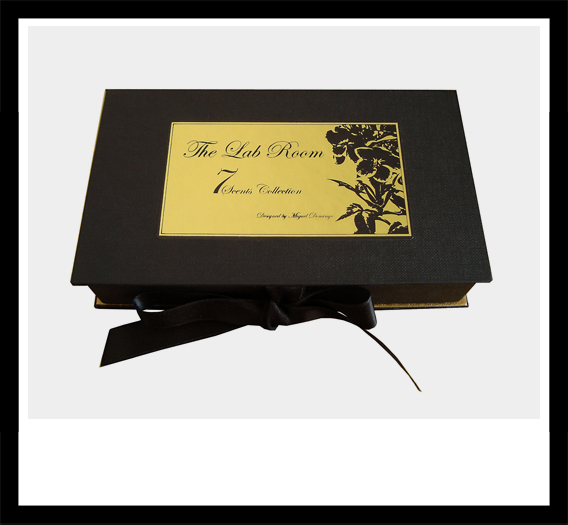 Madrid-based THE LAB ROOM 7 Scent Collection... a selection of natural perfumes inspired by the ancient traditions of alchemy and metaphysics. 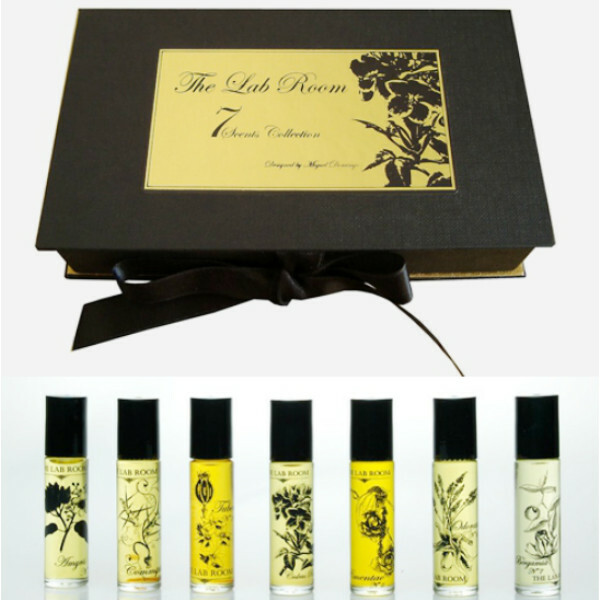 The seven essences are the creation of Monica Ceño Elie-Joseph and originated with the idea of intermingling seven distinct yet complementary scents to arrive at a perfume which reflects your mood. The assembled essences cross the range of all the top, middle and base notes to empower the creation of unique perfumes that infuse with the skin to release an original cascade of scents. 1 Amyris ~ This base note, is a woody scent from Haiti, that recreates the mystery of the caribbean mingled with african traditions, giving it's wearer inner strength. Mix with 3,5,6. 2 Commiphora ~ Myrrha , a base note, balsamic and velvety, is the scent of the chosen, always etheric and fascinating. It induces meditation and contemplation, stimulating the energetic centers of your mind and body. Mix with 1, 6. 3 Tuberosa ~ A blend of middle floral notes of tuberose, jasmine sambac and geranium, associated to sensuality, thus the drawing of the opium flower. This blend is freshened by a touch of orange. Mix with 5, 6. 4 Cedrus Rosae ~ Cedar intensifies the indian rose absolute and they both linger on the mystic patchouli creating a blend of persistency that evokes love, sexuality and misticysm. Mix it with 7. 5 Pimentae ~ The pungent and vibrant quality of the west indies bay recreate the deep world of the Caribbean heritage combined with citrics like bitter orange and tangerine, both top notes wrapped by the floral note of the geranium. Mix with 3,7. 6 Odoratae ~ East and west have never been closer, a symbiotic mix between fresh lavander, and geranium topped by the intoxicating ylang ylang flower sensual and calming at the same time. Mix with 2, 3. 7 Bergamia ~ A classic of parfumery, Italian bergamot, radiant and illuminating, infuses itself with French rose and the persistency of cypress mediterranean hills. Mix with 4, 5. Raw materials have been selected from the finest in the world. 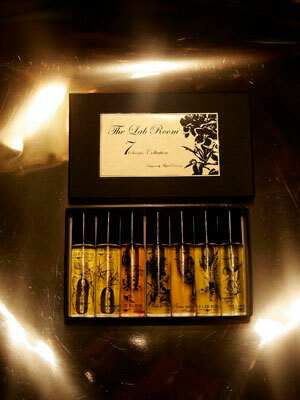 Each scent is packaged in a 12 ml perfumeroll-on bottle with botanical etchings illustrated by designer Miguel Domingo.